This bold vintage Art Deco sapphire and diamond ring features a triple tier of beauty and craftsmanship. 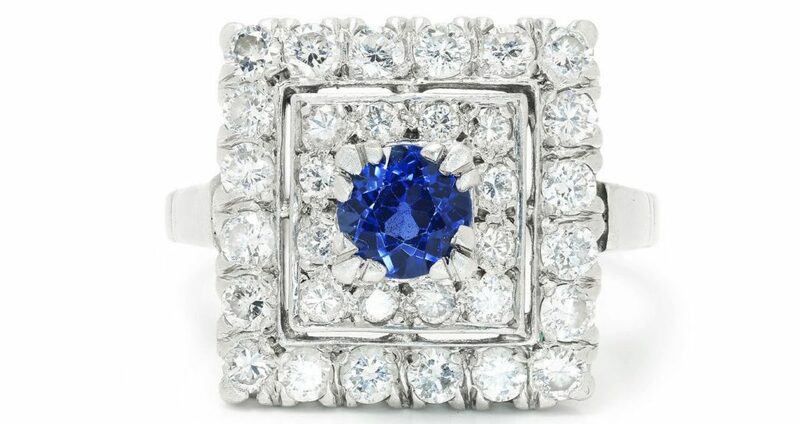 The ring is made of platinum and exhibits an intense royal blue round sapphire at its center in a claw setting. 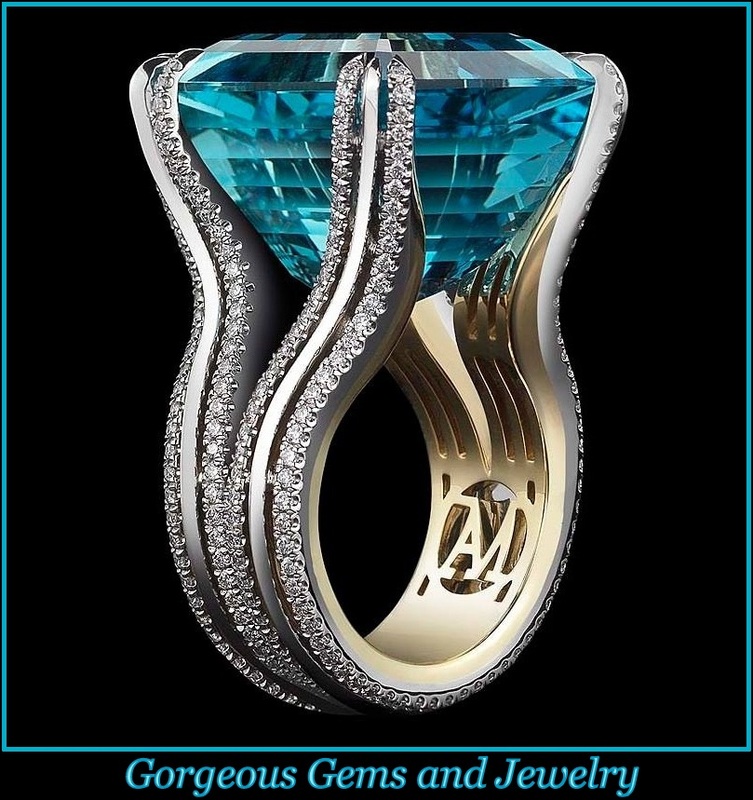 It displays a vivid array of dark and light blue hues with every facet. The second tier is a square halo of diamonds around the centerpiece followed by a third tier of larger diamonds in a square halo. There are 32 round brilliant diamonds weighing about 1.00 carat total and graded F-G in color and VS2-SI1 in clarity. The ring is a size 8 and we offer free resizing and express shipping. It is in Excellent condition.